Holding a Christmas party is the most popular way to celebrate this important festival. Christmas party invitations may play a great role in preparation. 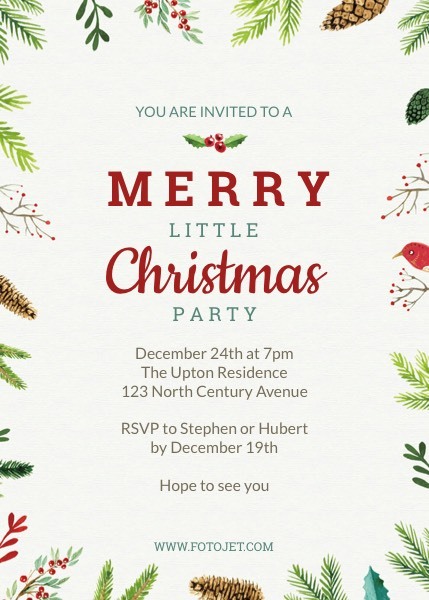 This specifically designed Christmas party invitation template can make it easier to design delicate and special invitations. What the wonderful about it is that the template is so easy to customizable that your Christmas invitation ideas can be inspired totally.